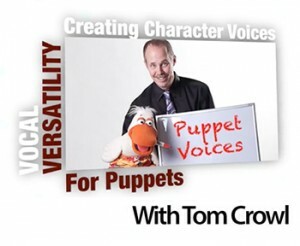 Learn-Ventriloquism course and earn money! THIS IS NOT A HOW TO LESSON ON PAY PER CLICK ADVERTISING! If you are not familiar with the term, there are plenty of sites that provide information and a ton of books on the subject. PPC ads are the display ads you see at the side of a Google Search, or in the column alongside your FaceBook Page. The advertiser pays a set amount every time someone clicks on the ad. Because you can set the amount, and determine what search term or interests you want to target, these are an excellent way of getting an offer in front of interested people. One note about Pay Per Click – because this course offers a 50% Affiliate payout (after ClickBank Fees), that provides a decent cushion for advertising expenses. Keep a close eye on your PPC expenses and conversions though. As long as you are earning more than you are spending, PPC is a great option! Ever want to learn ventriloquism like Jeff Dunham? Check Out (Link)! Probably will not create any issues. You could also create a dedicated affiliate page or blog post and direct people to that. One note – if you decide to make your Hop Link a part of your status update – you may want to disquise it using a Bit.ly short code, or an HTML redirect. (If you are not familiar with those, Google the terms or talk to your web designer.) People who see the long Hop Link coding may believe it is spam or a virus. Do you have an e-mail list? Friends, family, previous clients or fans? If so, a short e-mail talking about the ventriloquism course may produce results! Other ideas are to create business cards that promote the course which can be handed out following your shows. If you do this, we highly recommend you create a landing page on your own web site for a more condensed URL. If you expect people to type in a ClickBank hyperlink, chances are they will have problems and you will not get credited for your referral!